White toque - is well-recognized in our time a sign of belonging tothe brotherhood of the catering trade. And it is a symbol of one of the most influential and respected French restaurant guides Gault et Millau. To get here, to become "fooled" - this means to gain worldwide recognition as the best of the best chefs. 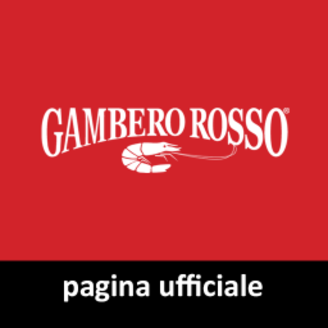 The history of the guide has more than 30 years, and during this time had become a culinary reference brand, a symbol, a must- art of haute cuisine. And one of the most severe and impartial its critics. The appearance of the light guide was quite natural, because its creators were two of the most influential in the middle of the last century French restaurant critic Henry Guo and Christian Millau. Therefore, the name did not become particularly philosophize, making him the names of the founding fathers - "Gault Millau". Interestingly, one of them - Andre Go - in the United States later began to produce "solo" guide to culinary institutions of this country, "Goyo". 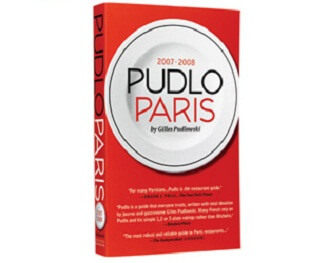 It happened because of his disagreements with the new owners edition "Gault Millau" in France, where he managed from 1986 to 2000 went guides directly under the two names Gault Millau and Gayot. Also currently operates a website Gayot.com, which is the main source of information about restaurants and places of tourist dollars. Despite the fact that Gomiy issued in France, it provides an overview and assessment of restaurants in other countries: Switzerland, Germany, Austria, the Benelux countries. Directory rightly so has international status and get his rating can cook from any country, although it is very difficult. Too high selection criteria have picky experts of this publication. But the reputation of the guide and the corresponding - it is considered the most accurate, authoritative, as objective as possible, although often put into second place after another famous French culinary guide - Michelin. However, comparing these two publications by the championship does not seem correct too - very different approaches to their assessment of the quality restaurants. 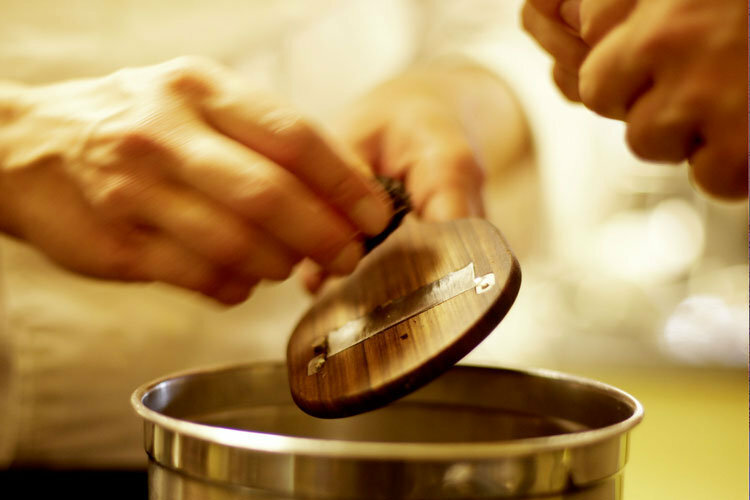 Rather, we can say that the "Gault Millau" - more specialized guide, designed for professionals and gourmets, while the "Michelin" is aimed at a broad audience of ordinary posetiley culinary schools and tourists. Moreover, unlike its competitor "Millau" points only notes the quality of food and the atmosphere and interior of the restaurant is awarded only comments. But mostly high marks both guides match, it's impossible not to note the professionalism and sheer talent of a virtuoso restaurateur, if the critic really understands the high cooking. But there are differences and, for example, in 2009, Dominick Gauthier, who is the chef of the hotel Beau-Rivage in Geneva received from "Gault Millau" title "Best Chef of the Year" and a very high rating for its cuisine, but the "Michelin" Rate this restaurant only two stars. Among other things, "Gault Millau" annually organizes and conducts a competition between chefs, first-rate according to the newspaper. This event usually takes place in October and November, and members of the jury are the famous chefs and restaurateurs of 5 persons. Winning the competition is also very prestigious and automatically puts the winner in the status of culinary virtuosos of the highest rank. It is no secret that many guides to restaurants and cafes receive from the owners of establishments material rewards, and of course, such a publication in any case is neither authoritative nor objective. Impartiality rating "Gault Millau" none of his readers is beyond doubt: none of its experts, each of whom has many years of experience in the restaurant critics and has excellence, never will take money from the owner of the establishment, which claims references to the pages of the guide. In addition, there will never be published advertising culinary establishments. Therefore, his readers are not at risk of being cheated, because they can be confident that the best of the best culinary schools selected under fair and healthy competition. First of all employees "Gault Millau" estimated precisely selected cuisine restaurant that is considered professional chef, his ability to make a meal out of a work of art, but also very carefully assessed the quality of the starting materials. It was noted in the food guide appropriate amount of points. All other parameters: the atmosphere, the interior, the service described in the accompanying comments. This is why the gourmet guide considered the most accurate, reflecting the actual situation. 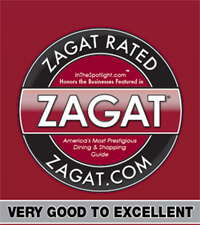 The main content of "Gault Millau" is, of course, the restaurant rating. And here edition rather conservative and, unlike other "star" and "Cymbal - Fork" assessment systems, operates classical score system. To give restaurant has a better idea, evaluation accompanies the text, in which experts explain in detail why a particular restaurant has been awarded such an assessment. These comments are sometimes quite sarcastically, because the staff "Gault Millau" do not hesitate to openly criticize culinary institution, whatever good reputation they had not. However this criticism is never overly subjective, but only what is called in the case. And it is very much appreciated by readers guide who can learn here a lot about the qualities of famous chefs and culinary trends relevant. For example, 37 -year-old Mario Loningere declared one of the rooms "Gault Millau" chef of the year, we read that he was preparing "with joy and pioneer innovative fervor", managing working simultaneously in three restaurants. Two of them - Silk and Micro - located in a trendy club Cocoon Club. In ultramodern Silk whole interior is designed in pink, including sofas. Relatively kitchen guide notes that " it serves a menu of ten dishes, descriptions which sound exotic . 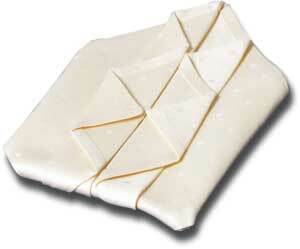 This, for example, smoked black cod with creamy almond jelly or lobster with a side dish of baked in pastry lotus roots ... In the third Loningera restaurant, named after the owner already, serves traditional Austrian cuisine (which is understandable, since the chef himself originally from Austria )." Among the negative comments about the restaurant kitchen you can find such comments as "boring" and "tasteless" and about the dishes - stinging definitions such as dessert, and just kind of porridge. "And maybe even get their favorite recent reytnga, relax and stay complacent. As an example, here you can lead chef Nils Henkel of Bergisch Gladbach. Once he was awarded the " Chef of the Year", but then critics tore it to shreds, calling his cooking "some herring rubbish." And yet the story ended happily, as in a recent issue of the guide Henkel was again on top with its original reytnga veggie menu called "Vegetables in a pure form ," and even enjoyed a personal praise from the chief editor of Gault Millau Manfred Conca. Scoring System Millau is located very convenient because once allows understand what exactly is a kitchen of a restaurant. Highest score - 20 points, but even places, scored only 10 of them, are already considered very prestigious and high-potential, and scored less in the handbook are not mentioned at all. However, to get the highest score of Gault Millau almost impossible, during the existence of the guide it happened only once: in 2004, when just two restaurants - Auberge de L'Eridan not far from Annecy and La Ferme de Mon Pere in Megeve - it all - still got. This happened a few years after the death of founder Henry Guo Publishing , claiming at the time that no one restaurant not worthy to receive 20 points, because it is impossible to attain perfection, though to him and to strive for. The public event has angered many decided then that is a sign of the fall high standards of professionalism expert guide as guide edition, wanting to save money, was to involve regional agents instead of a real restaurant French critics , having vast experience in this field and be able to as objective as possible. However, the overall prestige Gault Millau too much of this does not hurt. The highest density of restaurants with high ratings from Gault Millau recorded in Switzerland, which in its wake has been unofficially declared a paradise for gourmets. This trend is largely due to the fact that these institutions act in the current trend for today use exclusively local food. This is primarily fresh fish from Swiss lakes, asparagus and herbs grown in the beds right outside the restaurant. Moreover, here and follow another popular trend, offering traditional Swiss cuisine, and for each of the regions it will be their own, for example, in the French-speaking region of Lake Geneva will present you Papet vaudois, cooked leek and potato with sausage in Vale necessarily taste raclette - melted mountain cheese served with potatoes, Grisons signature dish - kapuny ( tender gnocchi with beet leaves ), in the Italian -speaking Ticino terrific cook polenta, and in German-speaking Switzerland, the most popular Rösti - especially baked with butter potatoes. Under the auspices of Gault Millau are unusual and tourist activities, such as gourmet safari in Lucerne. Within three days, everyone could visit here three restaurants that received the highest ratings and recommendations from the guide: enjoy an aperitif and snacks Olivo Restaurant 14 points Gault Millau rated according to the Grand Casino Luzern, taste exclusive dinner at Jasper Restaurant ( 16 points Gault Millau) in Hotel Palace Luzern, and try a dessert in a restaurant Art Deco Hotel Montana ( 15 points Gault Millau). However associated with the name of a guide and tragic stories. 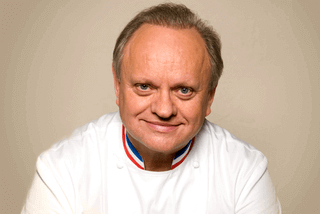 Most scandalous was the suicide of Bernard Loiseau - one of France's leading chefs, Knight of the Legion of Honor. 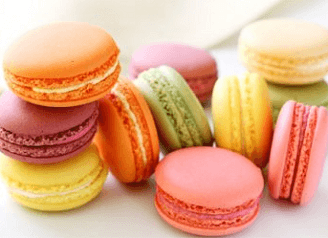 In 1980 - 90s the last century it was the most prominent advocate of traditional French cuisine and not only in France, but also far beyond its borders. 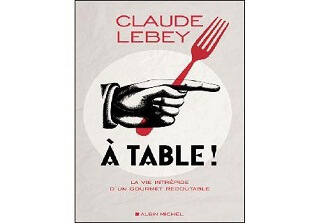 His professional reputation has suffered somewhat in the wake of general enthusiasm synthetic "international cuisine" because Loiseau fiercely criticized this phenomenon, hitting, so the category of old-fashioned conservatives. 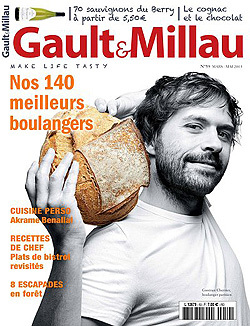 Apparently succumbing to some extent public opinion, " Gault Millau " downgraded kitchen of his restaurant from 19 to 17 points. 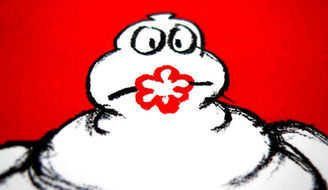 The last straw was a rumor that the guide and "Michelin" is going to reduce the assessment from three stars to two. However, these rumors remained rumors that besides "Michelin" later gave a formal denial. However shortly after this event Loiseau shot himself with a rifle, firing a bullet into his mouth. 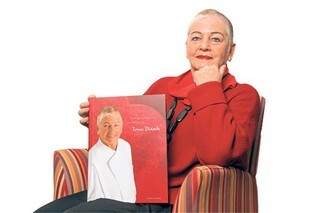 And until now, many are willing to blame it is the Gault Millau. 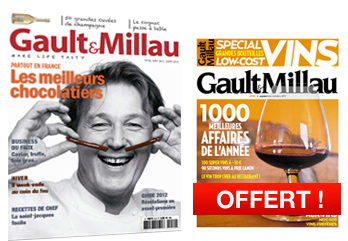 The guide and have your own website - Gaultmillau.fr, valued at $ 28,742 USD and has about 2,730 hits a day. Here you can see the results of the rating for the last month, check out the reviews of critics "Goma " ordinary visitors and reviews, as well as get acquainted with the most favorite recipes of dishes experts, tips on choosing a restaurant and lots of other useful information.